The gallery is situated in the middle of Gamla Stan which is one of the best preserved medieval city centres in Europe and a melting pot of tourists and locals. 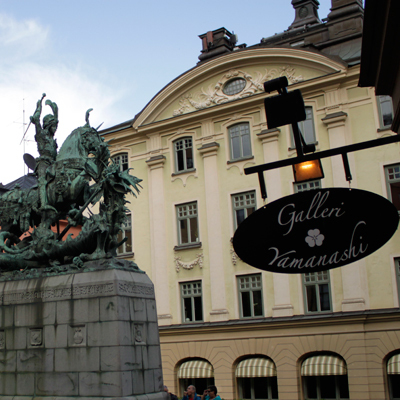 We are located in a picturesque cobbled square close to the statue of St George and the Dragon (Sankt Göran och Draken). Our gallery building dates back to 1786 when the gallery space on the ground floor was the first café in the town. The original steel glass ceiling and traditional shelves give the gallery a unique charm and form a perfect backdrop to any art on display. The six generous windows fill the gallery with natural light, and form part of the exhibition space, catching the attention of the hundreds of tourists, both Swedish and international, who pass by every day. 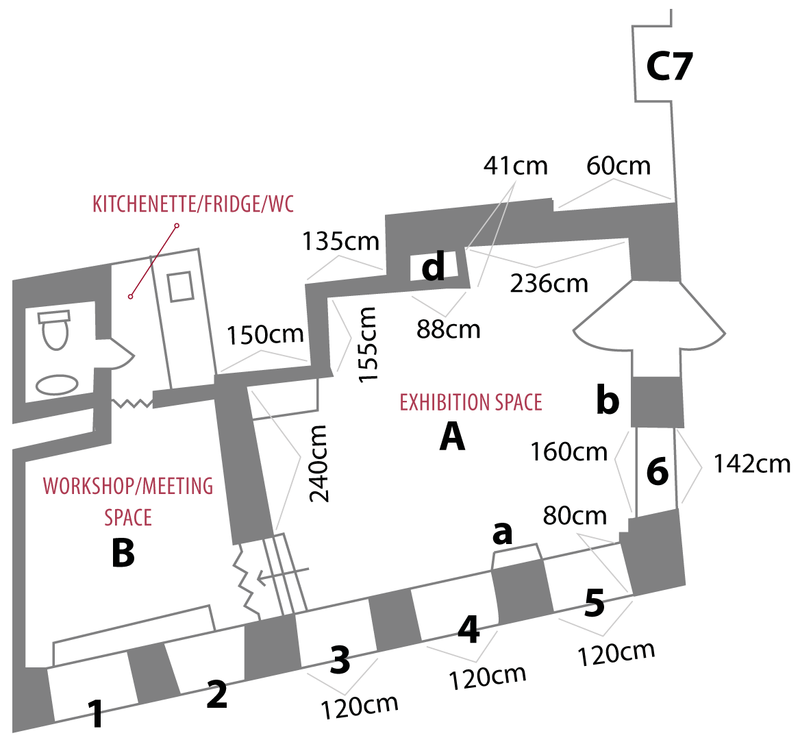 Room B can accommodate workshops etc. For conditions and more information about renting Galleri Yamanashi, please see our GALLERY RENTAL GUIDE. For event listing on our website, please see EVENT LISTINGS.